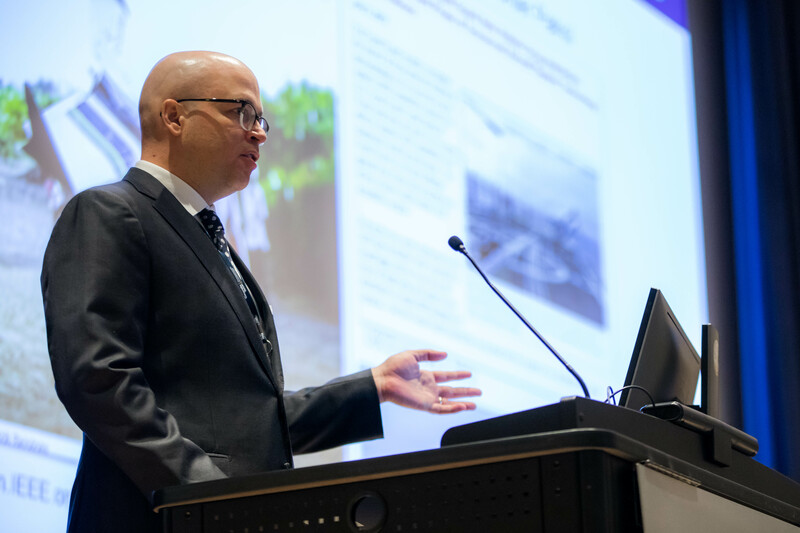 The U.S. Army Training and Doctrine Command (TRADOC) presented its Mad Scientist symposium on “Robotics, Artificial Intelligence and Autonomy” at Georgia Tech on March 7 and 8. 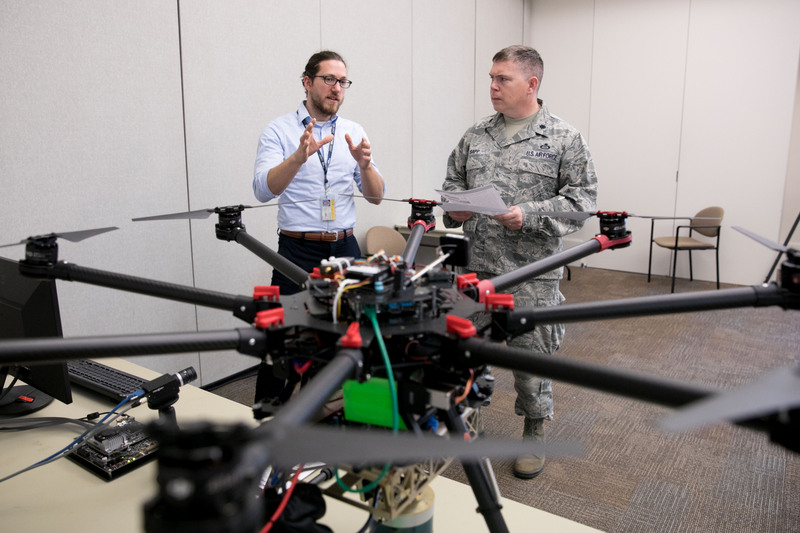 TRADOC’s Mad Scientist Initiative is a collaborative partnership with academia, industry and government to help anticipate and prepare for the challenges of future warfare. By exploring the operational environment of the future, the Army seeks to shape the future of warfare, rather than respond to it, and increase the rate of innovation within its branch of the military. Different themed events call on researchers and other partners to imagine the challenges facing the Army in 2030, and provide solutions to those problems today. Lee Grubbs, director of the Mad Scientist Initiative based out of Fort Eustis, Va., said the symposium came to Georgia Tech because that’s where the experts are. 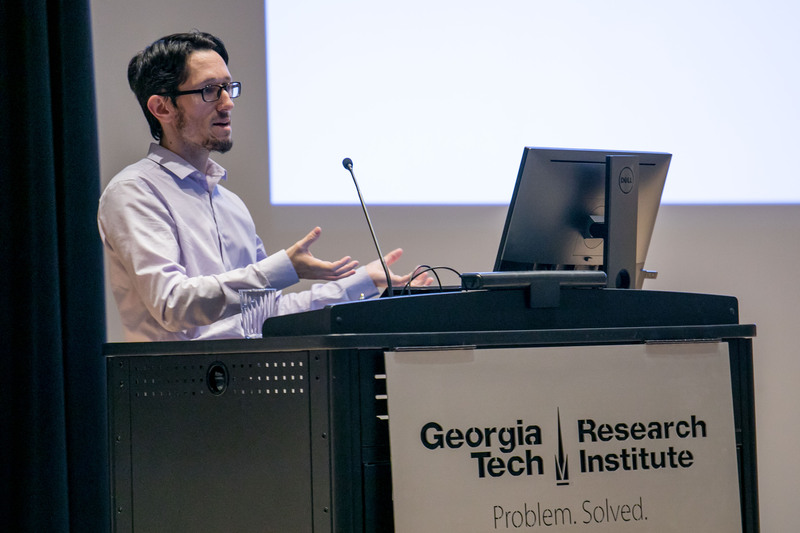 Researchers from the Georgia Tech Research Institute (GTRI) and Georgia Tech joined faculty from Carnegie Mellon, the University of Maryland as well as Army and industry representatives to present their research and work on robotics and machine learning. 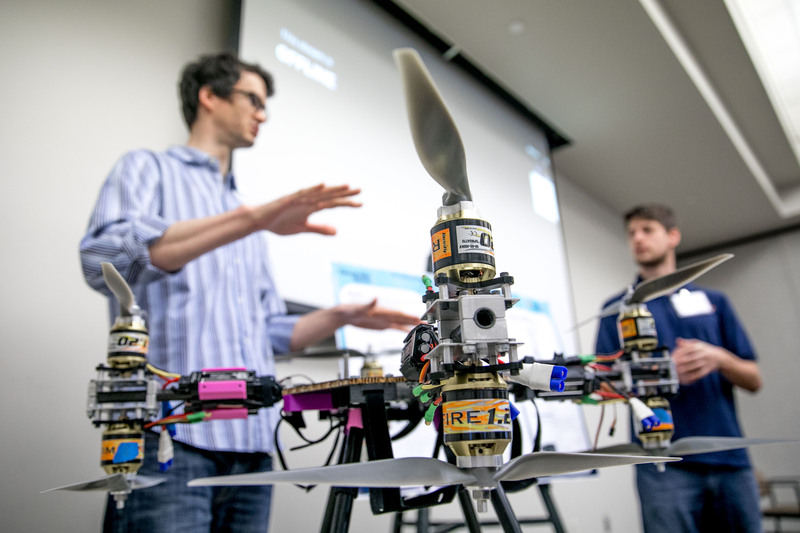 During the two-day event, attendees were encouraged to attend a robotics “petting zoo,” where they were afforded a close-up look at some autonomous vehicles and other examples of artificial intelligence, machine sensing and machine learning. IBM Watson representatives showed off the ability for Watson to communicate and parse native human language, even detecting the “sentiment” behind the statements. A low-powered brachiating robot that swings by its “arms” to monitor plants in a field. A 25-pound, helicopter-type unmanned aerial vehicle (UAV) that can deliver up to 65 pounds of payload in the field. A combined LIDAR with a UAV to map areas, seeking changes to the environment, people’s walking habits, and reconstructing static and dynamic objects in three-dimensional space. More than 100 registered and attended, including representatives from NATO, South Korea and from several other European countries. More than 200 watched the event at any given time online from around the world, and even were participating in live chatrooms during the event. All of the content will be posted on the TRADOC G-2 OE Enterprise YouTube page. In what may have been the first aerial encounter of its kind, researchers from GTRI and Naval Postgraduate School pitted two swarms of autonomous aircraft against one another over a military test facility. In June 2014, the Georgia Tech Research Institute (GTRI) and CNN launched a joint research initiative to study the use of unmanned aerial vehicles (UAVs) for newsgathering. As a team of unmanned quadrotor aircraft hovers above, six small ground robots roll into an unfamiliar two-story structure.